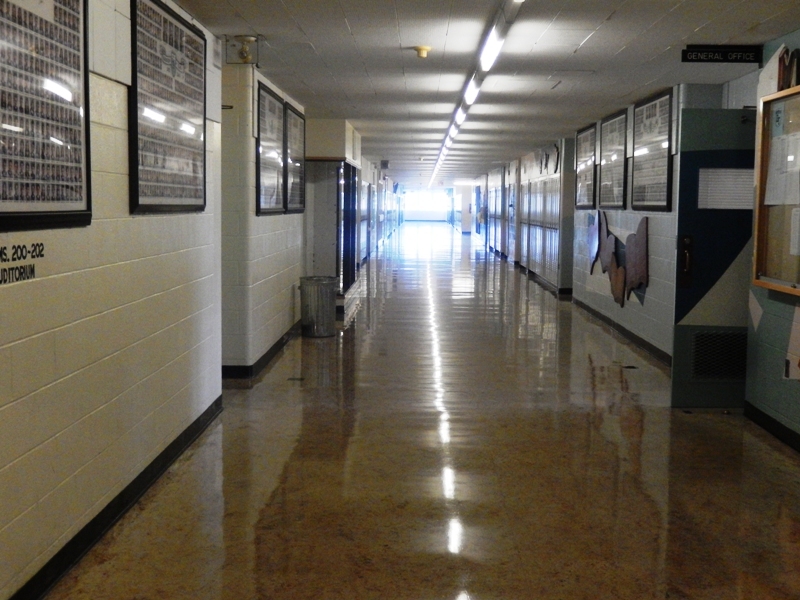 For the first Twilight movie they used Madison HS in Portland for the cafeteria and hallway scenes. 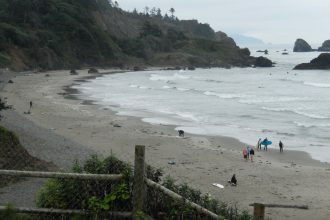 When they moved the production to Vancouver BC, they had to locate a school that would have a similar look and feel to it. 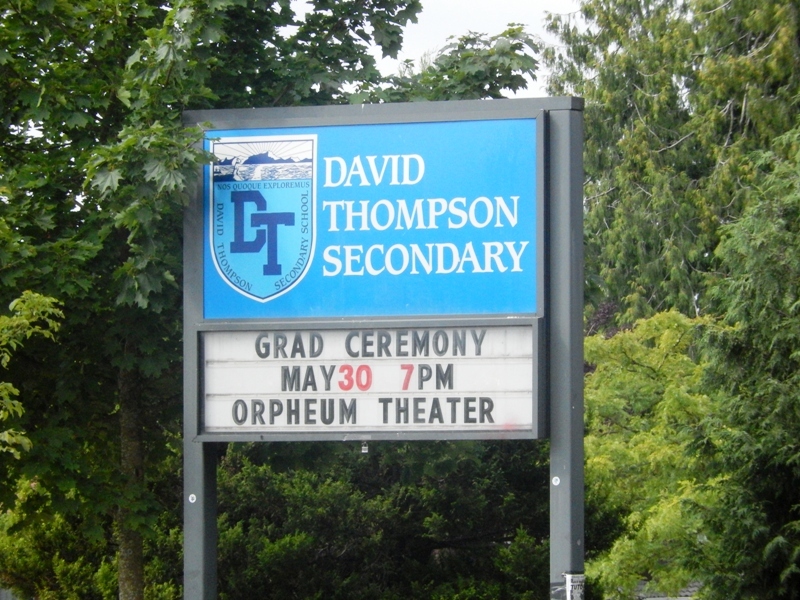 David Thompson Secondary school is located just NE of downtown Vancouver BC. 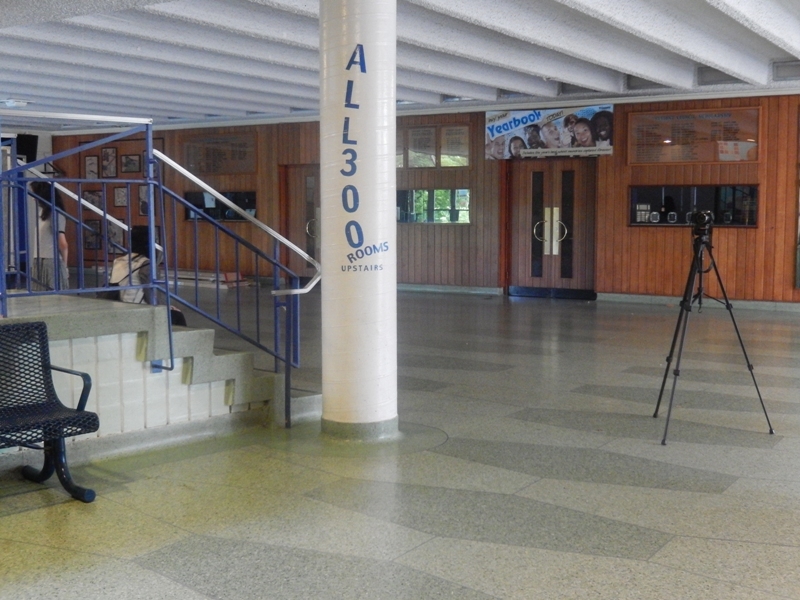 The school is older and did have the look and feel of Madison HS. We were able to walk down the halls and quickly found the where Alice jumps over the stairway and greets Edward and Bella on her birthday. 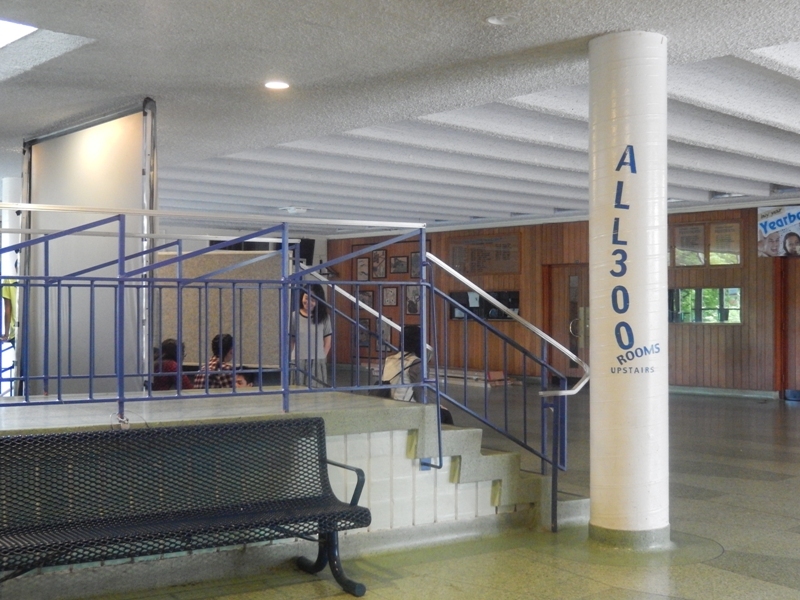 They also used the hallway leading to this area. 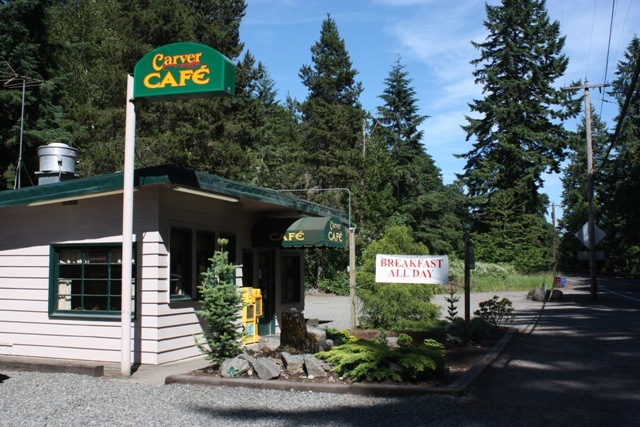 We also tried to see the cafeteria that they used in New Moon which is located there. It was locked and we could not get in. 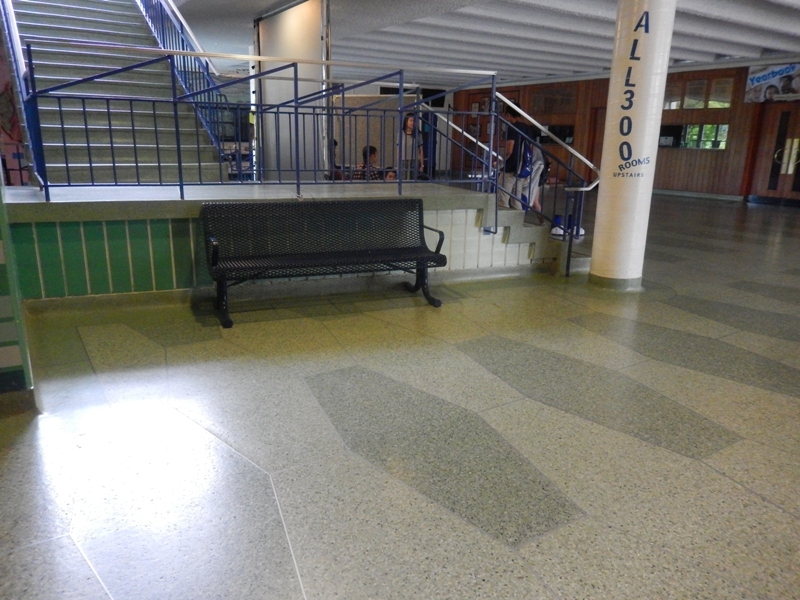 We were able to peer into some back windows and saw that it did look a lot like Madison HS cafeteria. They had a metal grating over the windows so photos were not a great option. It was fun to see how they duplicated Madison HS there in Vancouver BC.